The future Princess Diana dances for five minutes with a teenage boy in a wheelchair, an encounter that colors the rest of his life though quickly forgotten by her. Julia is the translator of the legendary German novelist Hermann Berg, and a writer in her own right. All her life she struggles for her own voice, against convention and the demands of the two male luminaries in her life. Based on the life of Helen Lowe-Porter, the translator of Thomas Mann. The Very Large Array. In bosque magazine, November 2013. Finalist in bosque magazine fiction contest. Second place winner in Hudson Valley Writers Guild fiction contest. After. 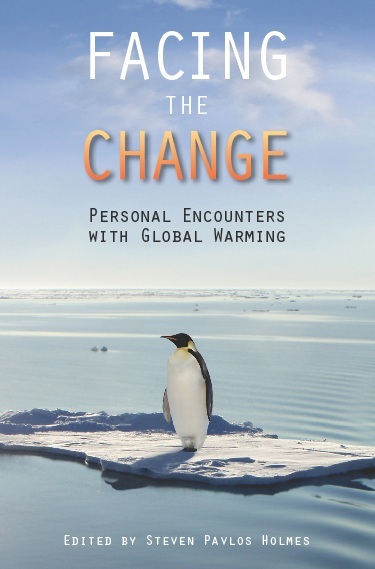 In Facing the Change: Personal Encounters with Global Warming (anthology). October 2013. Story nominated for Pushcart Prize. Waiting at the Ritz. In A Slant of Light: Women Writers of the Hudson Valley (anthology). September 2013. Winner of the 2013 USA Best Book Award in the Anthology (Fiction) category. Droit de Seigneur. www.writingsite.com, August 2011. Finalist in Edelstein fiction contest. Antarctica. First place winner of Pen & Brush prose contest, 2008. Lepista Nuda. Alimentum, November 2006. Ice. Prima Materia, November 2005. It begins to tell. Chonogram, March 2004.